Learn About Wine brings Orange County to Santa Monica on June 23. The Stars of California event benefits the Oceanfront and the Make a Wish Foundation. 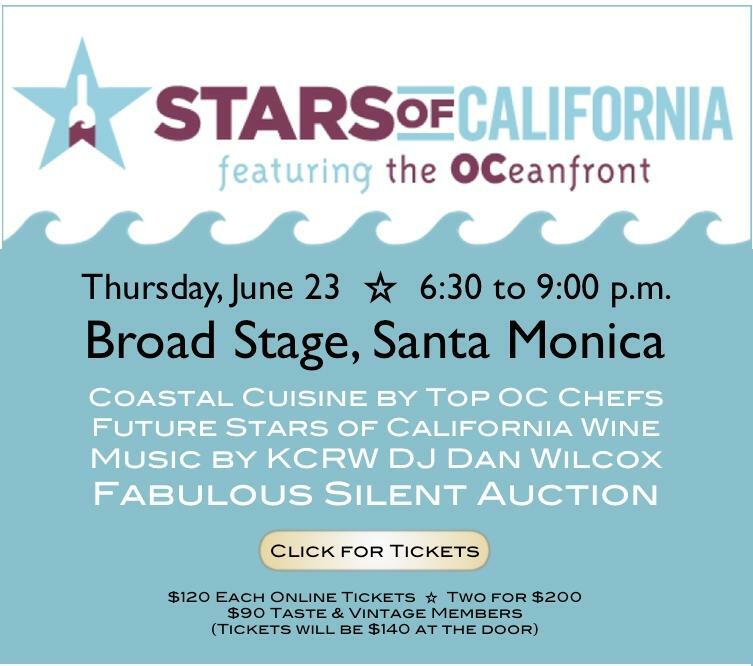 At the Broad Stage, over two dozen up-and-coming wineries and a dozen oceanfront resorts (including the Montage Laguna Beach and the Ritz-Carlton Laguna Niguel) will lend their wines and chefs for a tasting of classic California fare. Tickets are on sale now.